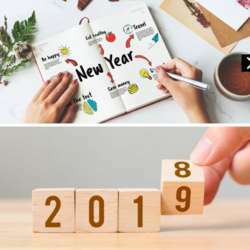 Have you planned 2019 (and reflected on 2018)? You must be a member of the Lugano The Witty Banter Lounge Group to attend this activity. Would you like to join this group? Have you planned Protected content ? Don’t wish this new year was different, but wish your intentions were different towards this year! - a Life Assessment (to check your ratings of the major areas of your life). - a High Performance Planner for the year. - guided questions to recap Protected content . Drinks and any food are at your own expense. Hai pianificato il Protected content ? Non desiderare che quest’anno sia diverso, ma desidera che le tue intenzioni fossero diverse per quest'anno! - una valutazione della vita (per verificare le tue valutazioni delle principali aree della tua vita). - un pianificatore ad alte prestazioni per l'anno Protected content . - domande guidate per ricapitolare il Protected content . Bevande e qualsiasi cibo sono alle vostre spese.